Fifty per cent off luxury designer pieces at Net-a-Porter, 75 per cent off Great Dane furniture, a massive indoor plant sale, 50 per cent off Japanese homewares and ceramics, a huge activewear sale, and 70 per cent off ethically made swimwear. This one’s huge, and it only happens twice a year. Net-a-Porter is one of the world’s top-tier destinations when it comes to luxury fashion, and right now the site is offering up to 50 per cent off a huge collection of international designers. The bi-annual sale includes activewear, beachwear, bridal, coats, denim, dresses, leather, knitwear and more across Ellery, Miu Miu, Opening Ceremony, Isabel Marant, Commes Des Garcons, Alexa Chung, Dion Lee, Double Rainbouu, Adidas Originals, Givenchy, Self-Portrait, Bassike, Alice McCall, J Brand, The Upside, Zimmermann, Versace, PE Nation, The Row, Balenciaga and heaps more. 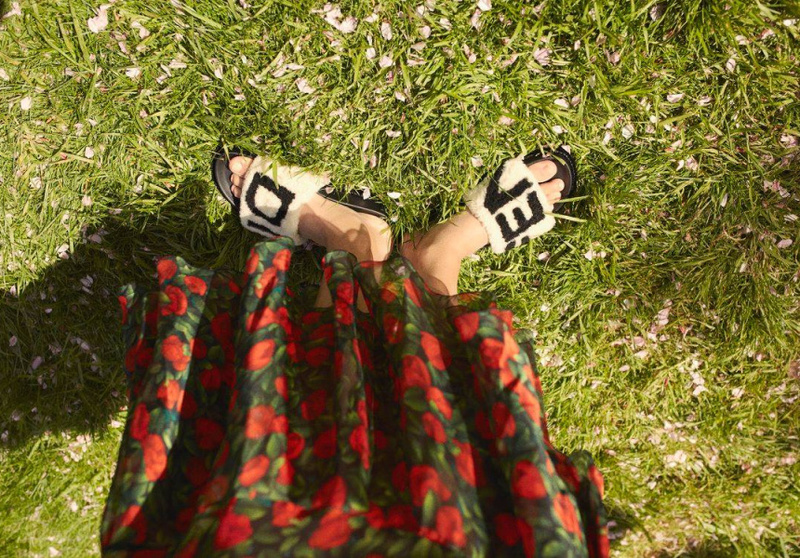 This Ganni floral-print wraparound skirt is perfect for sunny Sunday afternoon drinks. Ethically made Aussie swimwear label Baaby echoes European summer style. Most pieces have a built-in bra, and all are made using recycled nylon waste from around the world. 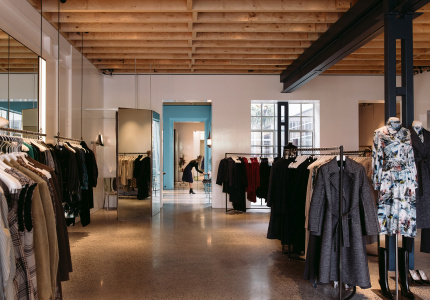 This weekend the label is popping up in Cremorne, offering 70 per cent off previous seasons and 15 per cent off new-season stock. Christmas shopping list at the ready, ethical, sustainable and fair-trade gift store Pookipoiga is offering up to 50 per cent off Onne natural skincare, Toms shoes and cashmere and merino wool. Broadsheet readers get a further 10 per cent off site-wide using code “BROADSHEET18” at check out. Melbourne-based performance activewear brand 776BC was founded by two-time Olympian and former AFL footballer Cameron McKenzie-McHarg, and it’s having a massive warehouse sale this weekend. Score active tights, compression tights, gym tanks, performance T-shirts, run shorts, compression socks, long sleeve tops and rowing suits at up to 80 per cent off. Current-season styles will also be discounted by 30 per cent. 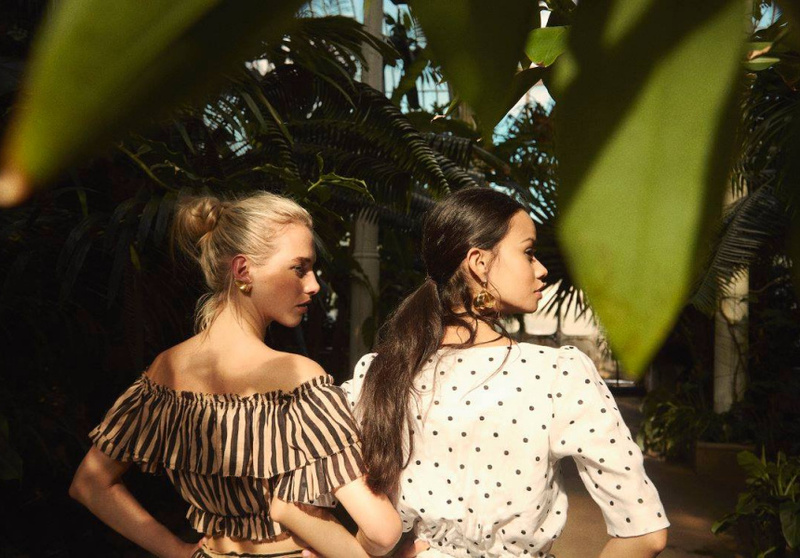 Invest in something glam for the summer party season at high-end designer retailer Le Louvre, where right now you’ll find selected items reduced by up to 50 per cent. The store is home to stunning pieces by some of the world’s biggest fashion houses including Balmain Paris, Chloé, Gucci, Saint Laurent, Vivienne Westwood, Moncler and more. Great Dane has an intuitive collection of new and authentically Scandinavian furniture, and this weekend it’s hosting a massive garage sale. Furniture, lighting and homewares will be available at up to 75 per cent off. The sale includes dining tables and chairs, sofas, easy chairs, stools, and sideboards, as well as pieces by Danish Furniture Prize award winner JL Moller. Got a plant-loving relative? Or maybe it’s you? Either way, Collingwood’s 200-square-metre plant warehouse Greener House is throwing a sale just in time for Christmas. You’ll find indoor plants including devil’s ivy, monstera, calatheas, ferns, philodendron heartleaf, fiddle figs, string of pearls and more, plus a range of decorative pots to house your new friends in. Each garment by minimal womenswear label Her Line is designed and made in Australia, and right now the label is discounting swimwear, wrap dresses, camisoles, wide-leg pants and more. This lightweight black slip dress dress will sit comfortably over bathers this summer. Made in Japan has been importing beautiful Japanese homewares to Australia for more than 25 years. Get your home ready for visitors, or give it a little spruce up in the lead up to Christmas; the store is discounting ceramics, furniture, toys and art at up to 50 per cent off.